“A few miles south of Soledad, the Salinas River drops in close to the hillside bank and runs deep and green.” So begins John Steinbeck’s powerful novel Of Mice and Men. In the opening paragraph, he writes of the river, the golden foothill slopes, and the strong and rocky Gabilan mountains. In writing these words in 1937, Mr. Steinbeck described the future site of Riverview Vineyard. 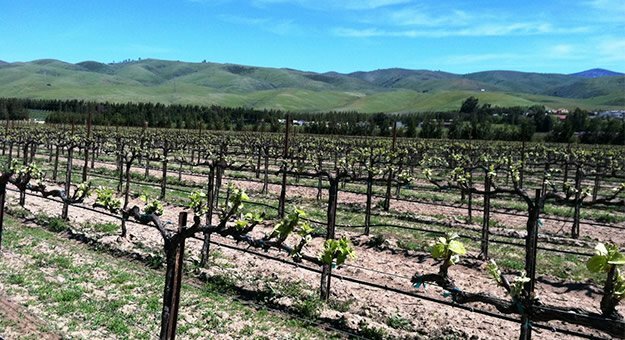 Riverview Vineyard is our northernmost vineyard in Monterey County. 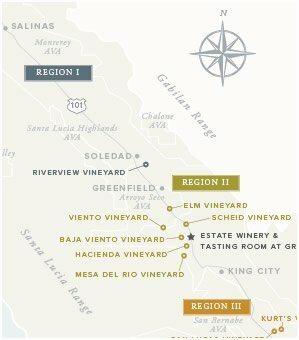 Located two miles southeast of Soledad and adjacent to the Pinnacles, this 215-acre vineyard is nestled on a bench overlooking the Salinas River and is an ideal site for ultra-premium Pinot Noir and Chardonnay. The bench location aids in creating excellent air flow and the southwestern exposure maximizes available sunlight and allows the fruit to ripen slowly and evenly. The soils are well-drained and comprised of decomposed granite. Chardonnay from Riverview Vineyard has a Burgundian flavor profile. 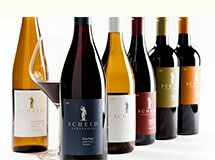 The cooler climate produces a leaner, steelier style, with distinct notes of minerality. It is a more austere style of Chardonnay than that produced from our other vineyards (we grow Chardonnay on eight of our estate vineyards) and generally comprises 20% to 30% of our Estate Chardonnay program. Pinot Noir is an early ripening red and the longer the fruit can stay on the vine, the more flavorful and complex the resulting wine will be. A cool climate is essential for producing top-quality Pinot Noir and the challenging conditions at Riverview Vineyard are ideal. The 150 acres of Pinot Noir planted at Riverview have built a reputation for producing award-winning wines. The fruit is concentrated and complex, with good color and overall balance.